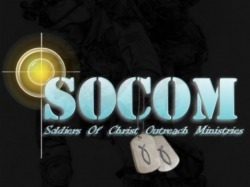 The founder of the Soldiers Of Christ Outreach Ministries (SOCOM), Jason Ontiveros has served over eighteen years active duty in the U.S. Army. He joined the Army at the age of twenty-one out of Los Angeles, California in 1992 and currently holds the rank of Staff Sergeant. 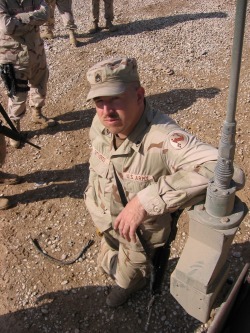 He has deployed countless times and served two tours of duty in Iraq (OIF I & III). 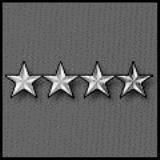 He is currently stationed at Fort Drum, New York as a U.S. Army Ops NCO. Jason is married and has 3 children. In June of 2008 while serving as platoon sergeant for the 506th Quartermaster Company, SSG Jason Ontiveros started a Bible Study discussion group while stationed at Fort Pickett, Virginia. For seven weeks Jason and a handful of Soldiers from his platoon would meet every night after duty hours and learn from the Bible together. Toward the end of their seven week deployment, the Bible Study group had grown to a large number of Soldiers within the platoon. After their tour at Fort Pickett had ended, their love of the Bible did not. To carry on the fellowship they enjoyed, they continued to meet once a week at various homes in the Fort Lee area. It was during that time that SOCOM was born. As time passed Jason couldn't shake the fact that the Lord required more from him for the future of their group. It seemed that God had much bigger sights in mind for SOCOM than what any of them could have anticipated. Jason began work on a crude, but effective website and posted it to tell the world who they were. Shortly after the site was published they received contact from a local church out of Richmond, VA and were asked to come and speak. SOCOM answered the call back then, and from that moment on have not looked back. "The General" currently resides in Gouverneur, New York. If you would like to contact Jason, please click here.